We can change the narrative about opportunity. Our nation can and should be a place where everyone enjoys full opportunity. Yet 6 in 10 Americans report experiencing unfair treatment because of what they look like, their life history, or their income level. We’re in a unique moment to turn that tide, with an overwhelming number of Americans hungry for change. 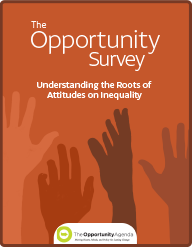 The Opportunity Survey: Understanding the Roots of Attitudes on Inequality is a roadmap for understanding views that shape society. It presents insights and data that can help social justice leaders move hearts, minds, and policy. Americans believe society functions better when all groups have an equal chance in life. This multidimensional survey of the U.S. public sheds light on the deep-seated values, basic orientations, and experiences that shape American attitudes toward inequality. It explores how these views relate to social justice issues—digging deeper than the typical liberal vs. conservative approach. This survey also oversamples low-income adults, Black men, and Asian Americans, whose opinions are often overlooked. Americans see discrimination against one or more groups as a serious problem. 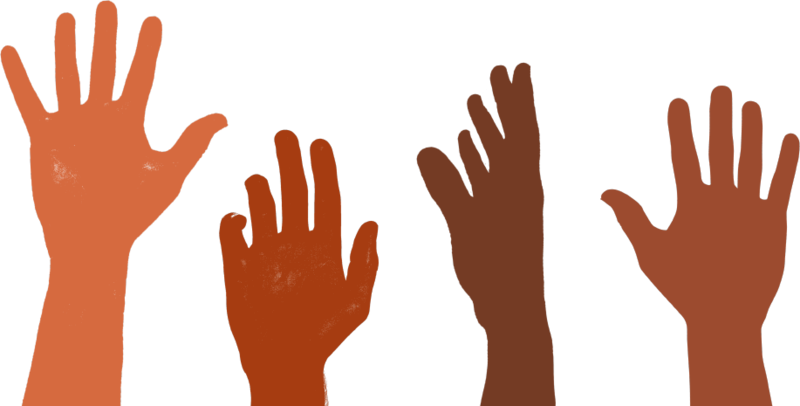 Americans say they have personally experienced discrimination. What mobilizes people to take action? The survey explores how the experiences of individuals and groups shape perceptions of American society, and how these attitudes influence support for various policies and the likelihood of taking action. Our findings suggest that Americans are primed for action and ready to organize across issues. 75% of Americans think unequal treatment of poor people is a problem. 2 out of 3 Americans would be willing to take action to reduce poverty or already do so. Social justice leaders and policymakers can use our research to understand the attitudes of different audiences, identify persuadable stakeholders and what moves them, and expand the reach and impact of communications and organizing efforts. Download the Report or view it online.